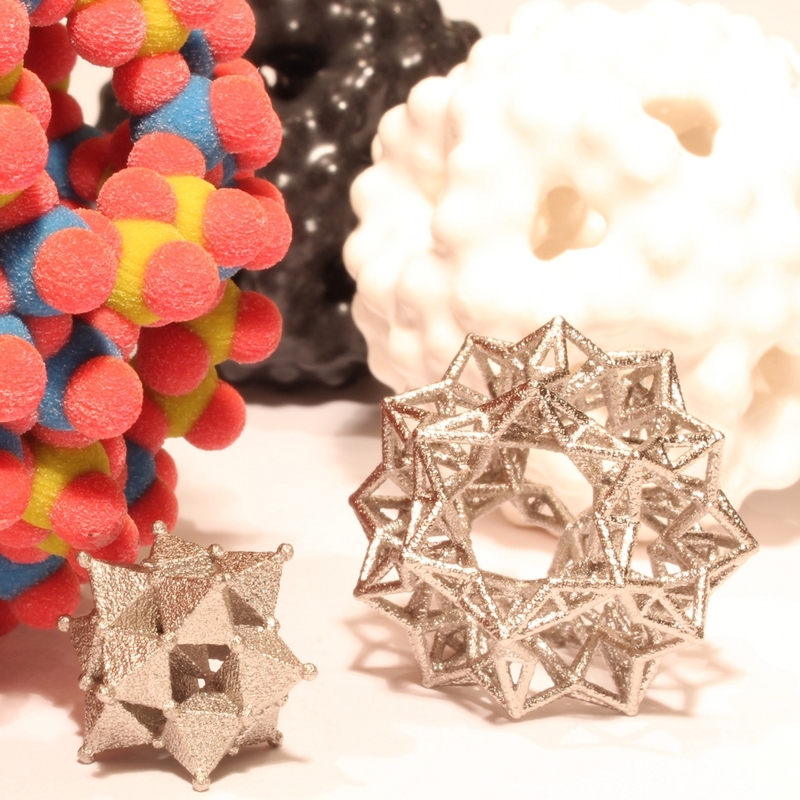 Inspired by Nature at the molecular level, we design objects that are manufactured using 3D-printers, in a variety of materials, and for diverse uses: art, jewellery, personalized presents, educational kits, toys, functional objects. 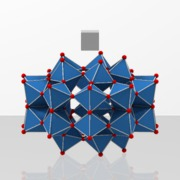 Fascinated by chemistry, our team is composed of chemists and artists who develop the whole creative process (primary design, 3D transformations, materials selection). We are committed to transform the beauty of chemistry into real-life objects making use of the finest 3D-printing technologies. We aim at fighting chemo-phobia and actively contribute to socialize chemical science. 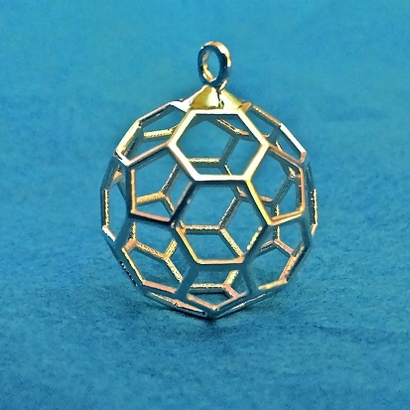 Yet another fullerene, this one 78 nodes. 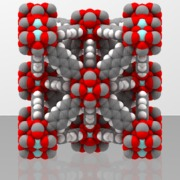 Fullerene family member number 100. 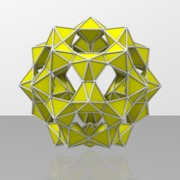 Yet another version of famous C60 buckminsterfullerene. 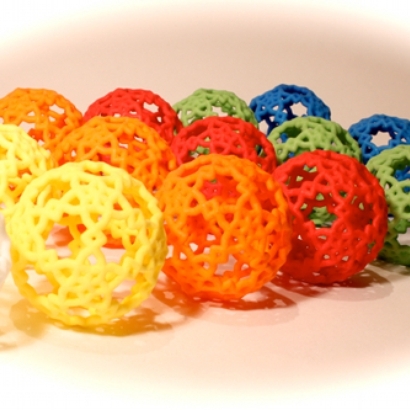 Welcome to the 3D printing boutique by MoleculArt3D! 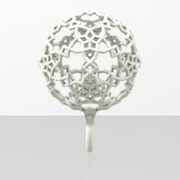 Here is the catalog of products built by MoleculArt3D, all set to be 3D printed. 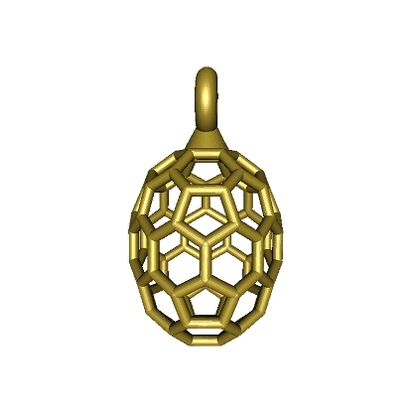 This web page presents Articulated skeleton, Decoration, Table art, Pendants and Necklaces, Mathematics, Mechanics that you can personalized with materials or colors you like. 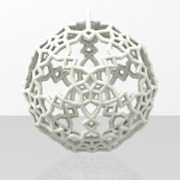 Select the Articulated skeleton, Decoration, Table art, Pendants and Necklaces, Mathematics, Mechanics, pick the component that fits so you can adapt them to your own inclination. 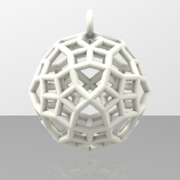 Remodel Articulated skeleton, Decoration, Table art, Pendants and Necklaces, Mathematics, Mechanics by picking out the 3D printing material, height and length, and tint you would love them in or even by customizing the 3D file to your own needs. The Marketplace by Sculpteo enables you to change 3D models by MoleculArt3D to remodel them to your own or to gift them to a relative. Each model lets you personalize exclusive goods by mixing the creativity of MoleculArt3D with unending combos of 3D printing constituents and stains. Articulated skeleton, Decoration, Table art, Pendants and Necklaces, Mathematics, Mechanics you see here may be made out of plastics, resins, metals, and composite multicolor 3D printing material and we will guide you to get the best 3D printing material for each article you select. 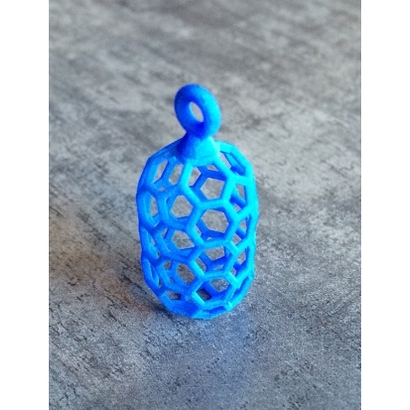 Dive into the 3D printing universe built by MoleculArt3D and incorporate your own approach to make singular objects which you will have in a pouch, beautify your apartment with or share with your mates! 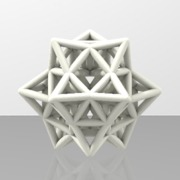 Look through 3D models of Articulated skeleton, Decoration, Table art, Pendants and Necklaces, Mathematics, Mechanics by MoleculArt3D in this page and make them adjusted for your colorful life.